Actum in villa Maxii, in ecclesia Sancte Marie. 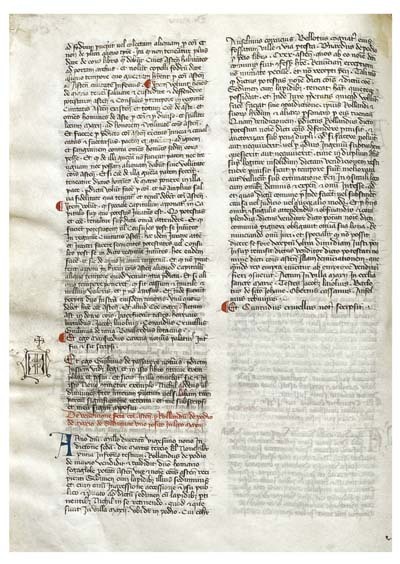 Testes: Jacobus Laiolius, Barlotus de Sancto Iohane, Obertus Cassanus, Anselmus Rebuinus. Et Cunradus Crivellus notarius scripsit. Redatto nella villa di Masio, nella chiesa di Santa Maria. Testimoni: Giacomo Laiolo, Barloto di San Giovanni, Oberto Cassano, Anselmo Rebuino. E il notaio Corrado Crivello lo scrisse. In the year of the Lord 1229, the second call, day Tuesday, November 30th, in the presence of the undersigned witnesses, Rolando de Podio of Masio sold and delivered to sir Omario Segaglole, mayor of Asti, in representation and on behalf of the Commune of Asti, as receiver, a parcel with stones found there and with each entry, access and right of public and private use of the same grounds with stones, without keeping anything for himself, which grounds and which stones are in the village of Masio, in the place called Podium, which border Anselmo Coiracio, Belloto his brother-in-law, the moat of the village and the ring road, Bernardo de Podio, at the cost of 130 pounds of Astesi. This document was written in the village of Masio, in the St. Mary’s Church. Witnesses: Giacomo Laiolo, Barloto di San Giovanni, Oberto Cassano, Anselmo Rebuino. And the notary Corrado Crivello wrote it.